The Danes have Thursday, Friday and Monday off during the week of Easter, so the city was full of people out enjoying the bright, breezy weather. 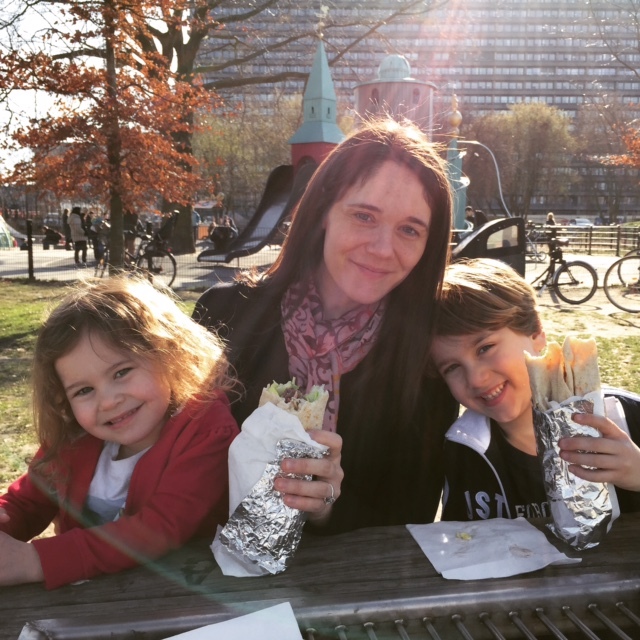 Rather than give into our initial impulse to collapse into bed for a nap, we decided to join the holidaying Copenhagen crowd, so we headed off in search of shawarma for lunch (for those who aren’t familiar, this is basically the Levantine equivalent of a gyro and it’s delicious!) and a good spot to pass the afternoon. We found both! 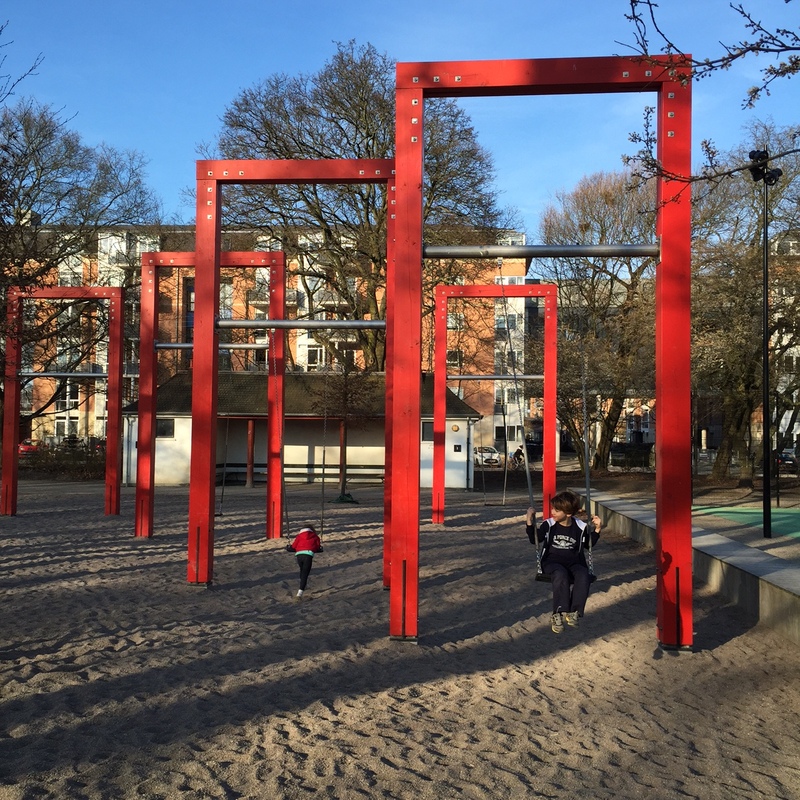 We took our lunch over to Fælledparken, where I was reminded of the fact that nobody does playgrounds better than the Danes. 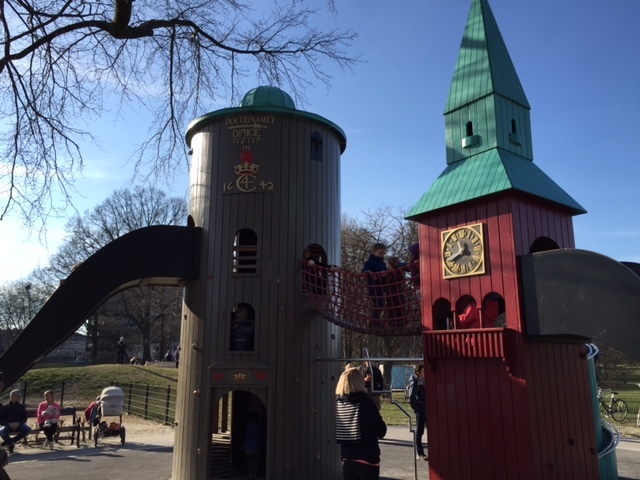 With replicas of famous Copenhagen towers, mega swings, trampolines and more, the kids were in complete heaven. 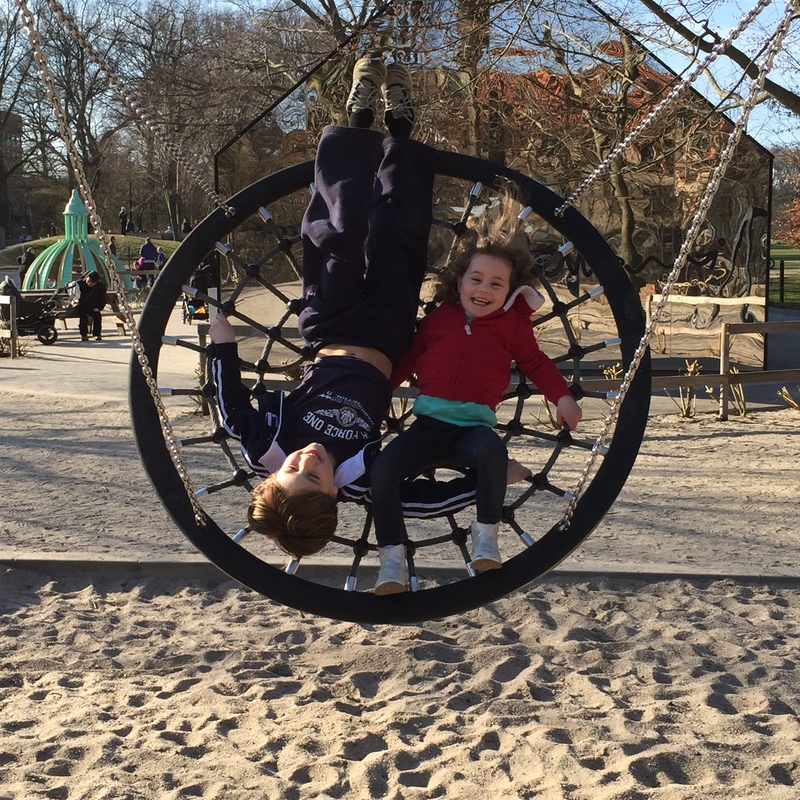 It was the perfect way to reintroduce them to Denmark. 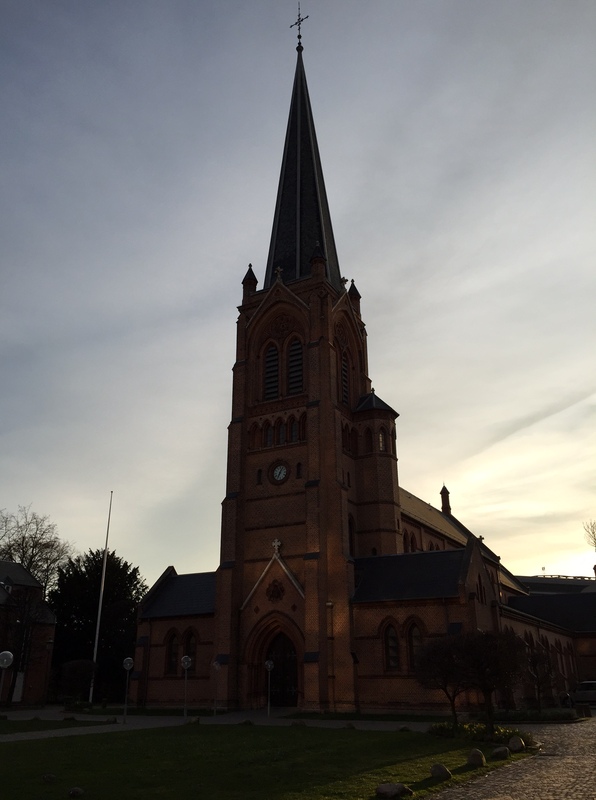 As we strolled home many hours later, past picturesque churches and charming sherbet-colored row houses, I couldn’t help but feel a profound sense of gratitude to have another chance to live in this beautiful place. No need to worry, I am not completely naive and haven’t forgotten that life in Denmark comes with its own set of frustrations and headaches. But for now, I mainly feel lucky to be back and excited for what lies ahead. 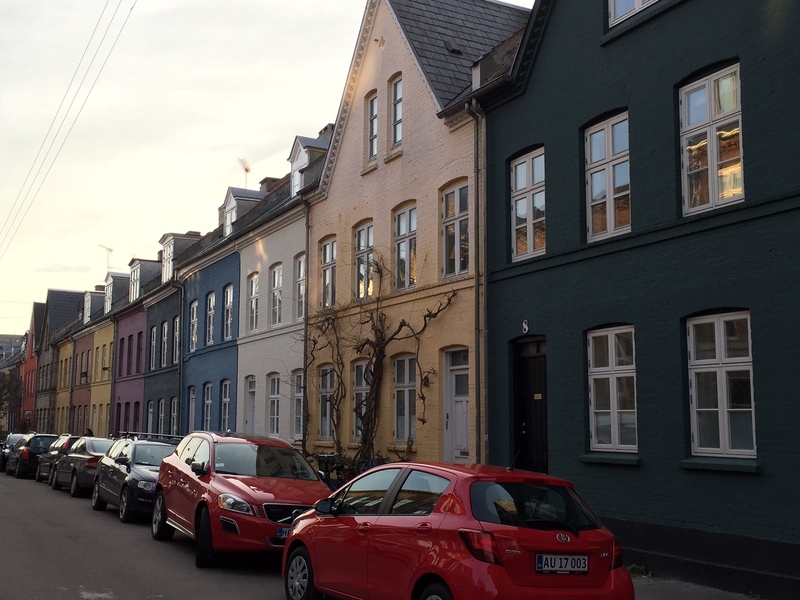 You capture the delights of Denmark so well- wishing you happiness in the Fairytale kingdom! What a lovely day! I need to come for round 2. Good to hear you landed safely and had the energy to enjoy ‘Fælledparken’.. Used to be there a billion times with my kids…I totaly agree – Copenhagen is a fantastic place to live with kids – with all the amazing playgrounds and free adventures all over town….. Hope to see you guys soon… will you be at church in Frederiksberg? Love it!!! It looks beautiful! We miss you!